Adolf Dehn (1895–1968), an American lithographer and watercolorist, left his hometown in Minnesota after formal training at the Minneapolis Art Institute to study at the Art Students League in New York. In the early 1920s, he traveled to the cosmopolitan cities of Paris, Vienna, and Berlin, where he focused on lithography and printmaking, and soon found success as a magazine illustrator. As he toured Europe, Dehn quickly acclimated to the continental lifestyle and was adept at depicting its nuances and idiosyncrasies through his prolific lithographs and sketches. His critical and satirical renderings of the political movements, social conventions, and governmental policies in pre–World War II Europe gave the Midwestern artist ample material for his growing body of work. Returning to the United States in 1930, Dehn survived the Great Depression with commercial artwork and contributions to popular magazines such as The New Yorker, Vogue, and Vanity Fair. His clever drawings that reflected the Jazz Age’s culture and fashionable society made him a favorite of Frank Crowninshield, Vanity Fair’s renowned editor. 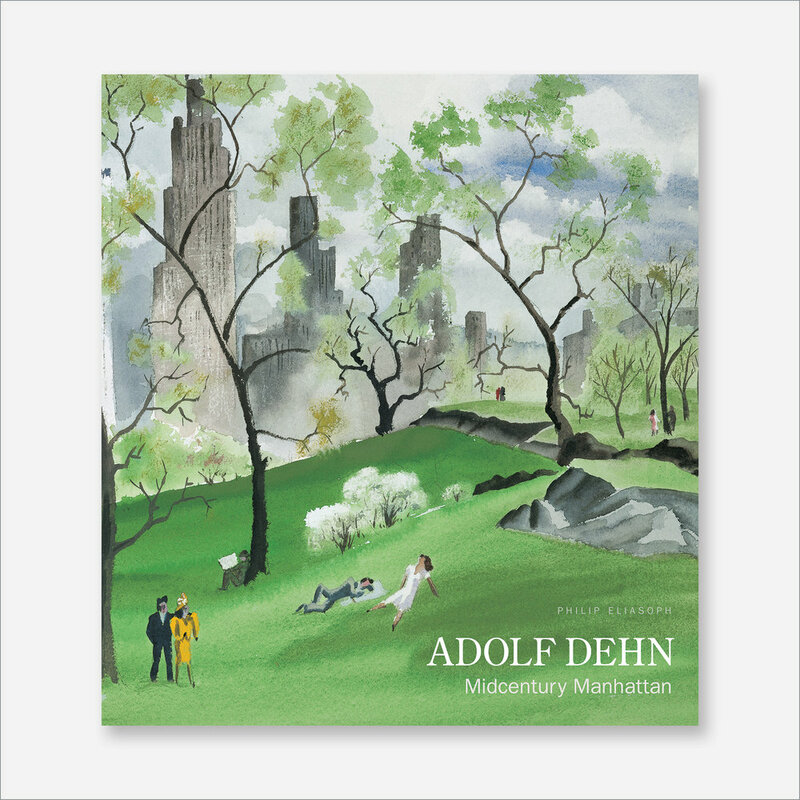 During this time, while Dehn captured the heyday of Manhattan’s burlesque theaters, lively Harlem nightclubs, impressive skyline, and busy harbor, he was continuously drawn to Central Park—his predilection for the city’s magnificent green space was a sustaining source of inspiration and subject matter.